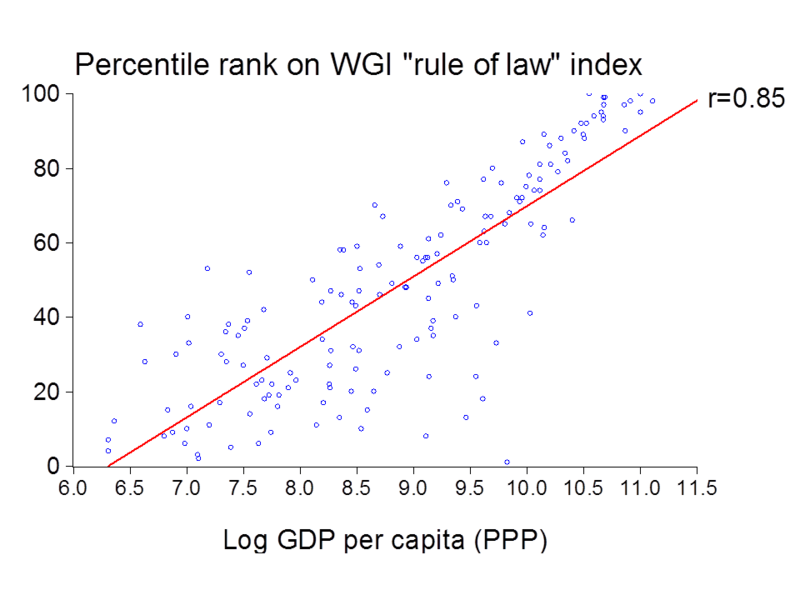 Many people have observed something like the following graph giving the World Governance Indicator (WGI) for “Rule of Law” (WGI-RL), which aims to reflect how much confidence citizens have in the rules of society and how much they follow those rules. There is a strong correlation, although the high GDP variance among the poor performers in terms of law and order is notable; the correlation is driven more by the good performers than the poor ones. Also, the causality is unclear. It is plausible that an environment in which law and order is largely absent retards innovation and investment, and hence limits economic growth. However, the infrastructure of good institutions is costly and so more affordable for richer countries. And some of the initial advantages of history and geography that promoted better institutions probably also fostered sustained growth. The two were jointly determined. 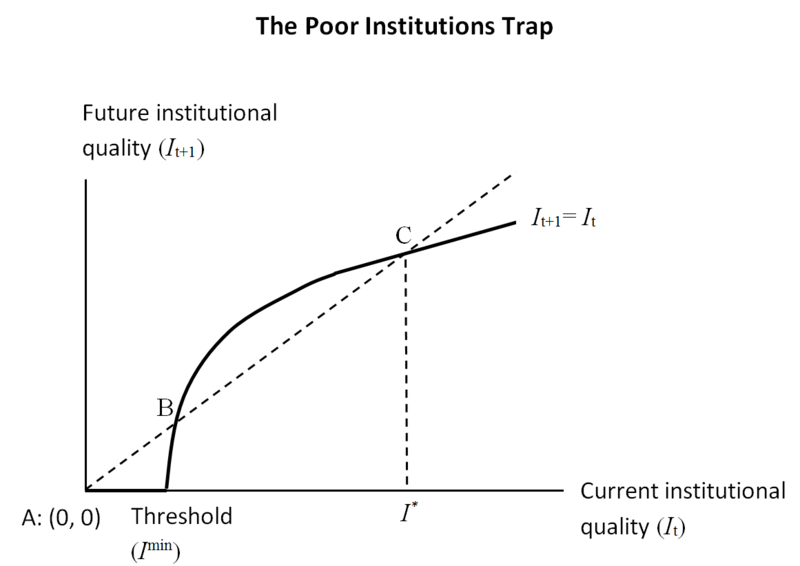 In The Economics of Poverty it is argued that the dynamics of institutional development can generate multiple equilibria, whereby fragile states (around point B in the graph below) can easily end up in a “poor institutions trap” (point A). A key condition for this to happen is that there is a threshold effect whereby at sufficiently low initial levels of institutional development, building better institutions is essentially impossible. There are high returns to such efforts beyond this point, although diminishing returns set in eventually. Read Chapter 9 to learn more. 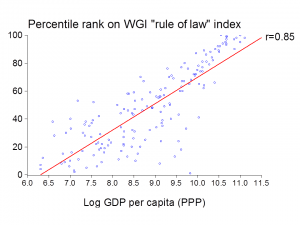 would ist be possible to learn about the source which is used for the graph above (Rule of Law in Correlation to GDP per Capita)?